It is with a heavy heart that I am announcing the temporary closing of DeNunzio’s Trattoria, formerly Luigi’s Grotto, and La Buca. We fought a losing battle with our landlord and are forced to find a new location with a better environment. I want to thank the many for a great 18 years of cooking classes, birthdays and friendship. 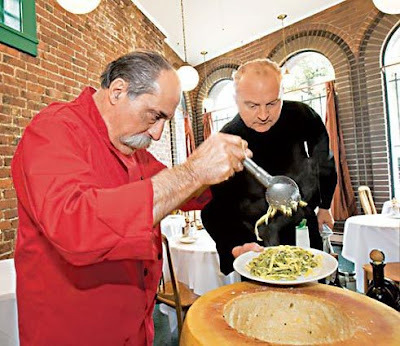 I look forward to seeing you at the other 2 restaurants, Al Boccalino, 1 Yesler Way or Cafe Bengodi, 701 1st Ave. Cooking Classes will be held at Al Boccalino. Again many thanks for great times and please stop by to see me.